Biography: Trudi is a business partner within Anew South West Recruitment. She has 18 years experience of business recruitment solutions, working within manufacturing Engineering, Technical and commercial industries. As a STEM ambassador, Trudi strives to engage people to join the Science, Technical, Engineering and Math’s subjects at School level to build a future of Engineers for industry. 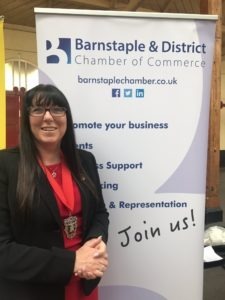 She is an active participant within North Devon skills arena, sitting on the ESB board, and is also the President of Barnstable and District Chamber of Commerce.